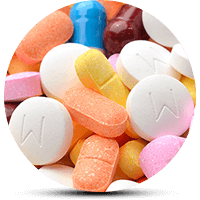 Tests on ecstasy addiction have indicated a large variety of results, all depending on the different types and measures used during these tests. It is still difficult to assess Ecstasy dependency. The active oral dose of Ecstasy is at least 75mg. It causes a flood of dopamine and serotonin into the synapses. This disrupts the reuptake process of the serotonin neurons. If you suspect that a loved one might be abusing Ecstasy, there are a few ecstasy addiction signs and symptoms to look out for. An irregular sleep schedule can indicate Ecstasy use, as it works by increasing dopamine levels, as well as neurotransmitters norepinephrine in the body’s central nervous system. They showed a lack of awareness when they got hurt. In other words, a lack of awareness of pain. Multiple sexual partners. This is a tricky one, but let me explain. Ecstasy is also known as Love Drug or Hug Drug, the reason being that when someone uses Ecstasy, it binds to serotonin transporters, leading them to feel as though they are in love, sometimes with someone they had just met. Your loved one shows signs of ataxia – a loss of control of their body movements. When this occurs, your loved one may already be in the acute phase of Ecstasy withdrawal, which means that the serotonin is depleting. This should return to normal within 24 hours, but if not monitored carefully, it could lead to seizure (depending on the doses). Dilated pupils are always a dead giveaway. Take a torch and see if your loved one’s pupils are responsive to light. If not, something’s up. Unusually dry mouth. When your loved one speaks to you (usually quite hyper about anything and everything), you will notice that their mouth seems unusually dry, which makes it difficult to speak. Along with the dry mouth, the person will clench his or her jaw involuntary. When they smile, it almost looks like they are in pain. Together with the dry mouth, it makes it quite difficult to follow a conversation with the Ecstasy user. Your loved one struggles to see. You will see that they are extremely sensitive to light. Ask them what’s wrong. If they tell you that their vision feels blurry, or that they see double, it might be from ecstasy abuse. Nothing guarantees an honest answer with this one, but it’s worth a try. The muscle tension of your loved one will be visible to you. This isn’t your typical work- or school-related tense shoulders. Extreme sweating. You will notice that your loved one on Ecstasy will sweat – a lot. Ecstasy heats up the body, then dehydrates, which is also what causes the dry mouth. The sweat will usually be a yellowish color. Mania and depression. A person on Ecstasy will seem hyper and energetic while rushing. However, when the person comes down, it can cause anxiety, difficulty with memory and depression that can last for several days. Their senses will be heightened, to the point of where it may seem exaggerated. Your loved one will yearn for physical touch, whether it is from another person, or just holding an object that feels good. They will seem confused and overly alert when they return from a night of dancing. High stimulation levels, heightened senses. Staying awake for unusually long hours. An exaggerated pleasure achieved by physical touch. They will be overly sensitive to light or noise. Decrease in pain levels, often not even noticing pain when they get hurt. You will notice an improvement in the user’s mood, even euphoria. Someone who uses Ecstasy will show exaggerated feelings of connectedness towards other people. As mentioned previously, Ecstasy increases a user’s pleasure they obtain from physical touch so that they will seek physical touch from you. If your partner abuses Ecstasy, chances are his or her sexuality or levels of sexual arousal will be heightened – all the time. If your loved one frequently loses track of time, for no reason, it might be a sign of Ecstasy addiction. Increased, almost racing heart rate. High blood pressure and the side effects that goes with it. Grinding of the teeth, caused by tightness of the jaw. They might feel faint or experience extreme fatigue. Chills or hot flashes, causing the skin to flush. Organ complications, such as pain over the kidneys, for no apparent reason. This is caused by the increased body temperature when taking Ecstasy. Look out for small, colored pills. It may seem like a breach of privacy, but it could save your loved one’s life in the long run. Candy necklaces – some of those may be Ecstasy. The ones with imprints of product logos (motor vehicle logo for instance) or characters – those are the ones to look out for. An Ecstasy addict will quite possibly have lollipops, or baby pacifiers lying around. This helps with the clenched jaw muscles caused by Ecstasy.